This item works with BatteryMINDer, Battery Tender, Battery Saver, and select Pulse Tech products. The Battery Tender 081-0069-6 Quick Disconnect Ring Harness contains a 7.5 amp fuse and is designed for Battery Tenders 12v model chargers. 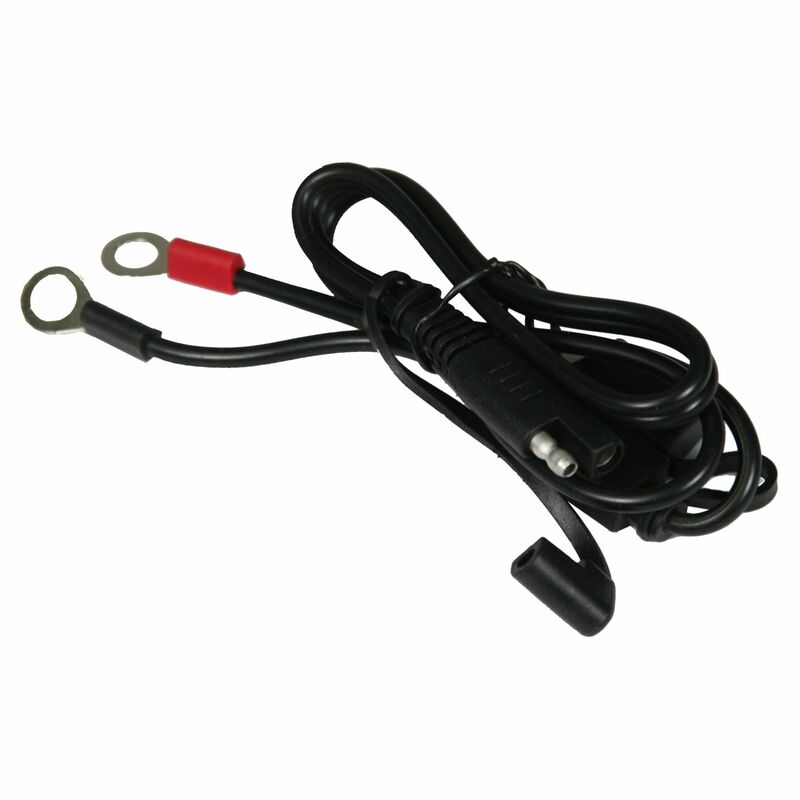 This Quick Disconnect Fused Ring Terminals lead is designed to connect to the battery, which then allows the user to attach the battery charger via the quick disconnect without the trouble of accessing the battery. *This accessory will also work with other product lines on our website as many chargers use the same connection. Do you own the 081-0069-6? Please, tell us what you think about it. It helps us provide you with better products. Please note that it may take up to 72 hours for your review to appear.